Join the movement in Santa Barbara County to strengthen our community. Because we can all be more aware and more informed. Take a course. Change a life. Youth Mental Health First Aid is a comprehensive training specifically designed to equip educators, family members, and caregivers with the skills and knowledge to identify, understand, and respond to the signs or risk factors of mental illness and substance use disorders in youth. Learn the importance of early intervention. Learn the risk factors and warning signs for mental health and substance use concerns, strategies for how to help someone in both crisis and non-crisis situations, and how to connect youth to appropriate care. Similar to traditional First Aid and CPR, Mental Health First Aid is the help offered to a person developing a mental health problem or experiencing a mental health crisis. The first aid is given until appropriate treatment and support are received or until the crisis resolves. Mental Health First Aid helps people respond appropriately when someone is distressed, offer initial support and be a link to resources. Mental Health First Aid is a program that introduces participants to risk factors and warning signs of mental health concerns, builds understanding of their impact, and overviews common treatments. The course uses role-playing and simulations to demonstrate how to assess a mental health crisis; and provide initial help. A young person you know could be struggling. Sometimes first aid isn't a bandage or CPR. Sometimes, first aid is YOU. Mental Health First Aid is an evidence-based education and prevention tool to improve the public’s knowledge of mental health and substance use problems. Mental Health First Aid helps people know that mental illnesses and addictions are real, common and treatable and that it’s okay to seek help. Anyone, anywhere can make a difference in the life of someone with a mental health or substance use challenge – if they know what to do and what to say. The greater the number of teachers, coaches, youth group leaders, parents and school support staff trained, the more students will benefit from accessing the help that they need. The ability to recognize that a young person’s lack of focus, bullying behaviors or failure to turn in assignments may be linked to an underlying mental health or substance use problem is an important step in supporting them effectively. Teachers and support staff need the appropriate tools to engage students who might be experiencing a mental health problem or crisis just as they would be trained to address physical health emergencies. Studies demonstrate that early detection and treatment of mental health and substance use problems in adolescents can make a difference in not only emotional wellness, but also in their academic success. Mental Health First Aid teaches about recovery and resiliency – the belief that individuals experiencing these challenges can and do get better, and use their strengths to stay well. adult Mental Health First Aid & youth Mental Health First Aid are intended for all people (18 years or older) and organizations that make up the fabric of a community, including hospitals, nursing homes, parent organizations, social clubs, faith community, chambers of commerce, professional associations, rotary clubs, and professionals who regularly interact with people (such as police officers, human resource directors, and primary care workers). WHO SHOULD TAKE adult MENTAL HEALTH FIRST AID? Instructors may specialize in providing the course to groups such as: Public safety, Higher education, Military families, and Rural audiences. Course is taught by certified instructors. Participants receive a 3 year certification upon completion. Like CPR, Mental Health First Aid prepares participants to interact with a person in crisis and encourage them to access support resources. Course provides an opportunity to practice — through role plays, scenarios, and activities — makes it easier to apply these skills in a real-life situation. 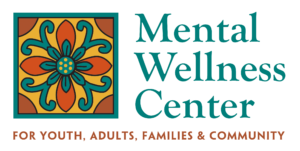 An overview of local mental health resources, support groups, and other help are provided. Mental Health First Aiders learn a single "ALGEE" 5-step action plan for how to help young people in both crisis and non-crisis situations. Let us know if you would like to coordinate a private class for 30 people to train in your organization, church, or group. The adult course is available in both English and Spanish. Youth Mental Health First Aid is designed for adults who regularly interact with young people. It is designed to teach parents, family members, caregivers, teachers, school staff, peers, neighbors, health and human services workers, and other caring citizens how to support an adolescent (grades 5th-12th) who is experiencing a mental health or addictions challenge or is in crisis. The course introduces common mental health challenges for youth, reviews typical adolescent development, and teaches the ALGEE action plan. Common signs and symptoms of substance use. How to interact with an adolescent in crisis. How to connect the adolescent with help. Mental Health First Aid teaches you how to identify, understand and respond to signs of mental illnesses and substance use disorders. Teaches a person the skills needed to reach out and provide initial support to someone who may be developing a mental health or substance use problem. The training allows for early detection and intervention by teaching participants about the signs and symptoms of specific illnesses like anxiety, depression, schizophrenia, bipolar disorder, and addictions. Teaches how to interact with a person in crisis. Teaches how to connect the person with help. NEW: How to administer naloxone in the event of an opioid overdose. CHOOSE YOUR DATE BELOW TO COMPLETE YOUR REGISTRATION. We are excited to provide this certification course for free. We ask that you please commit to being there when you sign up or that you give 48 hours notice if you need to cancel so we can give the space to someone else. If this class is filled and you would like to be added to the waitlist, please email education@youthwell.org. There is also an option to add to the waitlist on the EventBrite online registration. 2019 - Additional dates to be added soon! We are working on our calendar of Youth Mental Health First Aid trainings for 2019 so stay tuned.